What can I say about this mammoth wine that is more like port than dry red table wine? The 1947 Cheval Blanc exhibits such a thick texture it could double as motor oil. The huge nose of fruitcake, chocolate, leather, coffee, and Asian spices is mind-boggling. The unctuous texture and richness of sweet fruit are amazing. Consider the fact that this wine is, technically, appallingly deficient in acidity and excessively high in alcohol. Moreover, its volatile acidity levels would be considered intolerable by modern day oenologists. Yet how can they explain that after 47 years the wine is still remarkably fresh, phenomenally concentrated, and profoundly complex? It has to make you wonder about the direction of modern day winemaking. Except for one dismal, murky, troubled, volatile double-magnum, this wine has been either perfect or nearly perfect every time I have had it. But beware, there are numerous fraudulent bottles, particularly magnums, of 1947 Cheval Blanc in the marketplace. Having a 1947 Cheval Blanc served out of an impeccably stored magnum three times over the last three years, made me once again realize what a great job I have. The only recent Bordeaux vintages that come even remotely close to the richness, texture, and viscosity of so many of these right bank 1947s are 1982 and 1990. Tasted 5 Times With Consistent Notes. Although the extraordinary 1949 does not have the port-like unctuosity and heaviness of the 1947, it is an enormously rich, concentrated wine. It is better-balanced than the heavyweight 1947, yet as complex and extraordinary, both from an aromatic and flavor perspective. The wine exhibits a phenomenally fragrant bouquet of overripe red and black fruits, cedar, Asian spices, and minerals. Decadently rich and jammy, it has an amazing plum/garnet color with very little amber or rust at the edge. It may out-live the heavier, thicker, more exotic 1947. An excellent wine from a relatively forgotten vintage, showing superb concentration and great fruit. Brilliant ruby-garnet, with rich tobacco and very decadent aromas; medium-bodied, with sumptuous tobacco and earthy fruit flavors and a long, rich finish.--Cheval-Blanc vertical. Superlative to drink now. Rich ruby-garnet in color, with an opulent roasted tobacco aroma. Full-bodied, with rich berry and tobacco flavors, great balance and lots of excellent, earthy chocolate flavor on the finish.--1959 Bordeaux horizontal. Tasted 6 Times With Consistent Notes. The 1964 is a wonderfully rich, thick, powerful, and concentrated wine that is the most authoritative Cheval Blanc produced since the monumental wines made by this chateau in 1947, 1948, and 1949. Opaque dark ruby, with only some amber, and a powerful, yet restrained bouquet of roasted ripe fruit, cedar, herbs, and gravelly mineral scents, the wine remains amazingly young and tannic, with layer upon layer of ripe fruit. This is a heavyweight, old-style Cheval Blanc that should be pure nectar for at least another 10-15 years. It continues to evolve at a snail's pace. Anticipated maturity: now-2010. The 1949 is a blockbuster wine with an opaque garnet color, and a huge nose of smoked duck, soy sauce, minerals, truffles, and over-ripe, jammy fruit. Rich, thick, chewy, and intense, with huge body, and a port-like quality, this wine should continue to drink well for another decade. 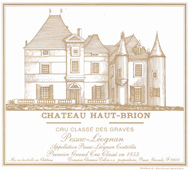 Haut-Brion's 1953 is best purchased today in magnums or larger format bottles. Although it has been fully mature since its release, it has retained the hallmark, singed leather, tobacco leaf, super-ripe fragrance that makes Haut-Brion so distinctive. The wine is extremely soft, revealing considerable amber and rust at the edge, but it still possesses rich, creamy fruit and medium to full body. It does require drinking, so be very careful with regular sized bottled. A dark ruby-colored wine with noticeable amber/rust, the 1955 Haut-Brion offers a huge, fragrant bouquet of walnuts, tobacco, wet stones, and smoky, cassis-like fruit. Medium-bodied, with extraordinary elegance and sweetness, this rich, concentrated wine exhibits no hard edges. Remarkably youthful, as well as concentrated and impeccably well-balanced, it is capable of lasting for another 10-20 years. Very tightly knit, with layer upon layer of rich fruit, yet showing great class. Medium-deep ruby-garnet, with tobacco, earth, meat and coffee aromas. Full-bodied, with cascading fruit flavors backed up by a hard backbone. Wonderful.--1959 Bordeaux horizontal. The dark garnet-colored 1961 Haut-Brion is pure perfection, with gloriously intense aromas of tobacco, cedar, chocolate, minerals, and sweet red and black fruits complemented by smoky wood. This has always been a prodigious effort (it was the debut vintage for Jean Delmas). It is extremely full-bodied, with layers of viscous, sweet fruit. This wine is akin to eating candy. Consistently an astonishing wine! In perfect condition, velvety, polished and powerful, focusing its black cherry, currant and berry flavors like a laser through the cedar, toast and anise layers. Tannins are fully integrated. Defines harmony.--1945 horizontal. A lovely, rich wine, with earthy tobacco flavors that last a long time. Medium-deep brick red color; rich tobacco and stone aromas. Full-bodied, with soft silky, rich fruit flavors. Very, very rich finish.--La Mission-Haut-Brion vertical. One of the greatest 1961s, La Mission-Haut-Brion has been fabulous to drink for the last 5-10 years. Where well-stored, this wine will continue to drink well for 10-20 years. It is more developed and drinkable than the 1959, and it remains a thick, rich, super-aromatic wine with a textbook Graves bouquet of tobacco, barbecued meats, minerals, spices, and sweet red and black fruits. It is dense, full-bodied, alcoholic, and super-rich. This soft, opulently-textured wine makes for a fabulous drink. Absolutely stunning! Except for the 1966 and 1870 vintages of Lafite-Rothschild, these wines were poured on virgin territory on my palate. The other great classics from the last century were remarkable wines, all with original corks, and in extraordinary condition. Their age was authenticated by Michael Broadbent, who is the only person in the world to have the good fortune to have tasted these wines on several occasions. After two disappointing tastings of the immortal 1870 Lafite-Rothschild, the Rodenstock tasting finally provided me a provocative, compelling, profound bottle of this legendary wine. The color is a healthy dark garnet, and the huge nose of freshly sliced celery, mint, cedar, and cassis unfolded quickly, but held in the glass during the 30-40 minutes it remained there before it became just a mere component of my bodily fluids. The wine exhibited sweet fruit, surprising glycerin and opulence for a Lafite, and a sweet, jammy, powerful finish. It is an extraordinary wine! The notes for this wine are taken from the description of Series V - Flight A of the 1995 tasting conducted in Munich by Helga and Hardy Rodenstock. Above-average quality, but disappointing for a highly touted year. Smells like roast lamb, and tastes lean and thin at first, but develops some cherry and plum flavors before the finish.--Lafite Rothschild vertical. Past its peak, but the trip down is going to be an enjoyable one. The best of the truly mature Lafites in the entire tasting. It has that wonderful bottle bouquet of mint, cedar and tobacco that blends so well with the firm but silky spice and cherry flavors. It tastes open, round and complete.--Lafite Rothschild vertical. Tasted from magnum. Tastes broad, juicy, full-bodied and rich, with minty, cedary aromas and plenty of fruit. Wide-ranging in flavor, complete in its balance.--Lafite Rothschild vertical. On two occasions I rated the 1953 100 and on another occasion, nearly perfect. According to some old-timers, the wine has been fully mature for almost 30 years. It possesses that extraordinary Lafite fragrance of minerals, lead pencil, cedar, and spice. It is velvety-textured, wonderfully round, and sweet, but so well-delineated and balanced. It is best purchased today in magnum and larger formats unless you can be assured the wine came from a cold cellar and has not been traded frequently. The 1959 is unquestionably the greatest Lafite-Rothschild that has approached full maturity. It remains to be seen whether vintages such as 1982, 1986, and 1990 will reach a similar height. The super-aromatic bouquet of flowers, black truffles, cedar, lead pencil, and red fruits is followed by one of the most powerful and concentrated Lafites I have tasted. Medium to full-bodied, velvety-textured, rich, and pure, it is a testament to what this great estate can achieve when it hits the mark. This youthful wine will last for another 30 or more years. I had poor luck with the 1961 Lafleur until several years ago. In four recent tastings, this wine has been at the upper end of my scale. This particular bottle was extremely young, with an opaque garnet/black color, and a powerful nose of black truffles, sweet, over-ripe cherry fruit, and grilled meats. A sensational wine, with huge body, massive extraction, great exuberance, and considerable tannin in the thick, exotic finish, it is not yet close to full maturity. Dark garnet with considerable amber, the nearly perfect 1899 exhibited a stunningly sweet nose of roasted herbs, smoked meats, underbrush, cedar, and sweet fruit with noticeable overripeness, as evidenced by marmalade notes. In the mouth, the wine was full-bodied, plush, and opulent, with roasted coffee flavors competing with sweet glycerin. The finish was all velvet, glycerin, and alcohol, with no intrusive acidity or tannin. This splendid wine proves the extraordinary aging potential of great Bordeaux. A famously tannic wine, yet it's now mellowed wonderfully. Amber-red color, with gorgeous aromas of mint, plums and minerals. Full-bodied, with big, velvety tannins and lots of ripe berries and tobacco on the finish. Super.--Latour vertical. Drink now. Perfect in every way. Dark ruby color with an amber edge. Aromas of mint, berry, blackberry,earth and spices pop out of the glass. Full-bodied and brimming over with sweet fruit character, ripe and velvety tannins. Long and succulent finish.What more could you want in a wine? Best bottle of1945 Latour I have ever had.--Latour vertical. Drink now. The 1949 Latour is one of those wines that can take a taster's breath away. It is a wine of extraordinary richness, yet it is perfectly balanced. It has extraordinary extraction of flavor, perfect balance, layers of flavor, and a finish that is both supple and authoritative. Drink it over the next 25 years. Unusually elegant, even delicate, for Latour, but beautiful nonetheless, with supple, refined flavors of sweet cherries, raisins, tobacco, spices and minerals. A favorite among the tasters. 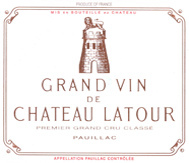 Dark garnet with an amber edge, the 1959 Latour reveals a touch of volatile acidity in the nose, along with aromas of melted caramel, tobacco, and jammy red and black fruits. As the wine sat in the glass, notes of minerals, coffee, spice, and underbrush emerged. There is still copious tannin in the finish (I am not sure it will ever be fully resolved), but this sumptuous, complex, fragrant, super-rich Latour cuts a broad swath across the palate. Fully mature, it is best consumed over the next decade. The 1948 came out first in a blind tasting of 1948s in Bordeaux. It was exotic, perfumed, very rich and full with abundant coffee/mocha/kirsch fruit displayed in a fully mature personality. What a sleeper this wine must be! The 1950 is still a well-preserved blockbuster. Viscous, unbelievably rich and full-bodied, with oodles of fruit, extract, and glycerin, it is capable of lasting another two decades. The 1950 Pomerols are clones of 1947! Although the 1947 Cheval Blanc is widely considered to be the "wine of the century" among collectors, the 1961 Latour a Pomerol also merits a share of the title. Giving points to a wine such as this makes one think of Shakespeare's reflection that "comparisons are odious." To put it mildly, this wine is "off the charts." If I had only one Bordeaux to drink, the 1961 Latour a Pomerol would have to be at the top of my list. Given its phenomenal richness and amazing precision and balance, it can bring tears to one's eyes. Still a saturated dark purple color with no signs of amber, orange, or rust, the nose offers extraordinarily rich, intense aromas of jammy plums, black currants, licorice, and truffles. Port-like, with remarkable viscosity and thickness, as well as a finish that lasts for more than a minute, this wine is in a class by itself. Even greater than the 1961 Petrus and 1961 Latour (two perfect wines), it is phenomenal. Given its youthfulness (it is the least evolved wine of the vintage), it has the potential to last for another 20-30 years. I will continue to extoll the 1950 Pomerols. L'Eglise-Clinet's 1950 is another masterpiece from an appellation and vintage that have been completely ignored. A superb vintage for Pomerol, this soft, velvety-textured, enormously-concentrated, over-ripe wine is oozing with black-cherry and cassis aromas intertwined with smoke, cedar, minerals, and vanilla. This thick, remarkably youthful 1950 L'Eglise-Clinet will offer a hefty, corpulent mouthful of chewy wine for another 10-20 years. Another great showing for this under-rated estate, the 1961 L'Eglise-Clinet displayed a saturated, opaque garnet color with some amber/rust at the edge. A huge nose of soy sauce, grilled meats, mocha, chocolate, and jammy cherry fruit is followed by a full-bodied wine with excellent richness, length, and balance. Drink this fully mature, velvety-textured wine over the next decade. I would argue that the most exciting wines of the twentieth century are the 1947 Pomerols. Although the 1947s from Petrus and Lafleur (both perfect wines) were not included in the Rodenstock tasting, the wines tasted exemplify the number of exhilarating, decadent, and sumptuous wines produced by this tiny appellation. Another nectar from Pomerol, the 1947 L'Evangile can be a 100-point wine, but in this tasting it was beaten out by the amazing 1947 Latour a Pomerol and L'Eglise-Clinet. An awesome bottle of wine - thick, jammy, and full-bodied, with extraordinary intensity, power, purity, and layers of black fruits, truffles, and cedar, it represents the quintessential style of L'Evangile. It should last for another 15-20 years. I may be the only person to extol the virtues of the 1950 Pomerols. It was clearly a stunning vintage. This is another terrific 1950. The nearly opaque color is followed by a backward, closed nose that, with coaxing, offers up aromas of sweet black-raspberries, grilled nuts, and leather. In the mouth, this full-bodied wine reveals spectacular concentration, plenty of tannin, crisp acidity, and a long, surprisingly backward, youthful finish. Believe it or not, this wine is not yet ready for prime time drinking! It should actually improve over the next 10-15 years. The 1961 possesses a huge nose of coffee, sweet, jammy, black fruits, buttered nuts, and truffles. The syrupy texture, and fabulous concentration, viscosity, and richness were unbelievable. Given its port-like richness, this full-bodied, massively endowed, fully mature wine is reminiscent of the great 1947. Interestingly, Madame Ducasse told me that two-thirds of the vineyard was replanted in 1957, so 66% of the blend is from 3-year old vines! Readers who are fortunate enough to have bottles of this nectar should plan on drinking it over the next 10-15 years. The 1900 Margaux is one of this century's most renowned wines. Interestingly, it was originally thought to lack aging potential because it was so drinkable by the time it was ten or twelve years old. The production of 1900 Margaux was in excess of 30,000 cases, which is nearly identical to what was produced in 1982, a wine with shockingly similar acidity, alcohol, and extraction levels. Will the 1982 last 100 years? The 1900 Margaux is an immortal wine largely because it is still so young and fresh, with all the nuances and complexities that wine enthusiasts hope will develop. Splendidly rich, with a perfume that must fill a room, unbelievably unctuous, opulent, and well-focused, this is a winemaking tour de force. The fact that it manages to balance power and high extraction of flavor with both finesse and elegance makes it stand out as one of the most extraordinary wines I have ever tasted. Not only will this wine live for another decade, I suspect it has the potential to last for 20-30 years into the next century. A breathtaking wine! Still has firm tannins, but you can feel the delicacy and grace as it opens up and shows cedar, cigar box and chocolate-scented berry flavors. The tannins are scarcely more obtrusive here than with the other first growths. A bit simple even though it retains modest vibrancy on the palate, with blackberry, black currant and cherry flavors.--Mouton-Rothschild vertical. The 1949's bouquet offers copious amounts of sweet, ripe cassis fruit, herbs, spicy oak, and a touch of coffee and cinnamon. Medium-bodied, with moderate tannin still noticeable, this compact, dark garnet, opaquely-colored wine possesses superb concentration and a remarkably long finish. It appears to be fully mature, yet the balance, length, and tannin level suggest this wine could last for another 20 years. The 1949 was always considered to be the late Baron's favorite vintage. I am always blown away by the 1959 Mouton, one of the greatest Moutons made in the last thirty-five years. Every time I have this wine it is undeniable that Mouton made a richer, more persuasive wine in 1959 than in 1961. Astonishingly young and unevolved, with a black/purple color, the wine exhibits a youthful nose of cassis, minerals, and new oak. It is exceptionally powerful and super-extracted, with the fruit supported by high levels of tannin and some lusty quantities of alcohol. This mammoth, full-bodied Mouton-Rothschild should continue to evolve for another 20-30 years. It may well be a 100-year wine! Huge, cedary, cassis, lead pencil, menthol-like aromas soared from the glass. The black/purple color revealed no signs of lightening or amber at the edge. Full-bodied, rich, and super-intense, this was an a profound bottle of 1961 Mouton that would have stood up against the compelling 1959. I have found the 1961 Mouton-Rothschild to be distressingly variable in quality, much like the consistently inconsistent 1970. At its best the wine is a great Mouton. 1948 is another one of those vintages that was largely ignored by the press. Shrewd consumers would be smart to take a look at well-stored bottles of 1948s that might appear in the marketplace. In the past I have reported on some of the other great 1948s, such as Vieux-Chateau-Certan, La Mission-Haut-Brion, and Cheval Blanc, but the 1948 Petrus has fooled me completely in blind tastings. The nose of cedar, leather, herbs, and cassis suggested to me that this was a first-growth Pauillac. The color is still dense, with only a moderate orange hue at the edge. The wine is rich, more austere and lineal than usual, but full-bodied, with considerable flavor, and a spicy, moderately tannic finish. It has peaked, but is clearly capable of lasting another 10-15 years. While variable, the 1949 has always been a huge, thick, chewy, immense wine without the unctuosity and port-like quality of the 1947 or 1950. The first time I tasted it a decade ago it seemed to be chunky and one-dimensional, but enormously rich. Since then the wine has begun to display the huge, exotic, fleshiness of Petrus, as well as marvelously pure, plum, black-cherry, mocha, and coffee-flavored fruit. It is developing well and remains remarkably youthful for a 45-year old wine.